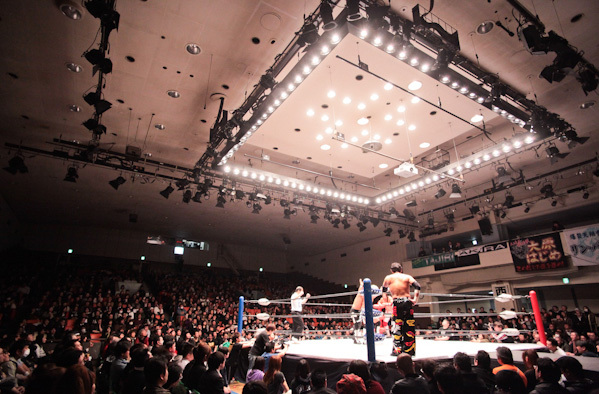 This past Wednesday night – March 14, 2012 – a somber mood set over Korakuen Hall in Tokyo, as Japan’s SMASH organization held its final show, closing its doors forever. 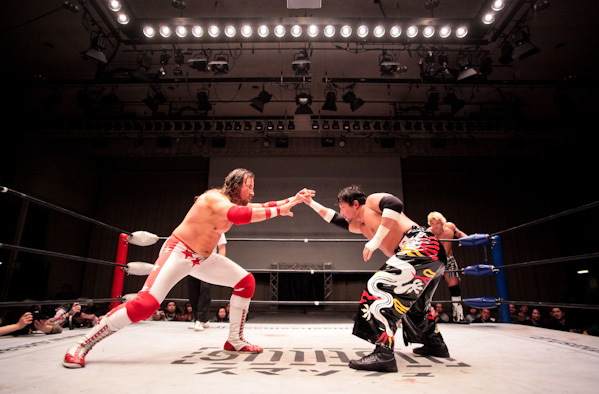 Many people are both asking and wondering what has led to the closing down of the promotion, considering SMASH rose in its two-year run to become one of the leading puroresu organizations in Japan. SMASH started from zero in March of 2010 and rose like a phoenix amongst both fans and media alike over the next couple of years. 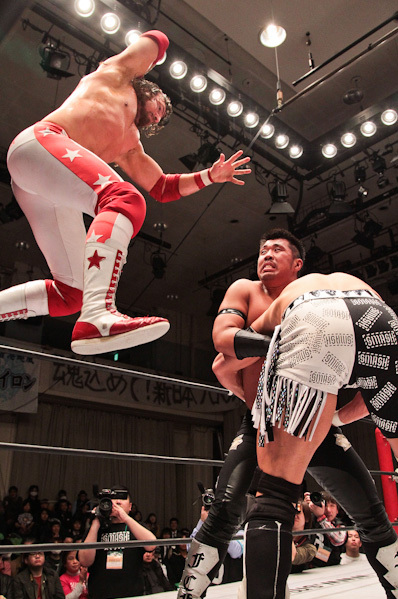 Their events in Japan drew great houses and showcased some of the finest pro wrestling to be seen anywhere. So what exactly is at the root of the demise of SMASH? Very simply, the answer lies in the divergent visions of SMASH president Mr. Sakai and SMASH creative director Tajiri for the company and its future. As Mr. Sakai owns the SMASH name and its respective title belts, this rift and separation proved to be a fatal blow to the company. Without the creative genius of Tajiri, SMASH would simply not exist. Tajiri was truly the soul and heartbeat of SMASH, and for Sakai to continue without him would have been foolhardy and a questionable risk. Thus, at SMASH.FINAL on March 14th when all was said and done after the main event, Mr. Sakai announced publicly that there will be no SMASH v.2 post-Tajiri. SMASH is now finished. The video below narrates (in English) the meat of the matter rather well. I am greatly honored to have taken part in the SMASH.FINAL main event alongside FCF Wrestling teammate Hajime Ohara against the team of Tajiri and Akira Nogami. I think it would be safe to say that SMASH was built largely on the four of us and our contributions to the promotion, so having this tag team main event headline the final SMASH show in history is truly prolific. I really couldn’t think of a better way to go out on a high note. Being in the ring with three of my best friends in this often cold, dog-eat-dog business on a night that enveloped so much emotion and weightiness meant a lot to me. We fought tooth and nail for 25:50 of a wrestling classic before Akira was able to nail Ohara with his Musasabi Press splash off the top rope to end the epic encounter. The night prior to the SMASH.FINAL, I was able to be part of Akira’s birthday party at the world- famous Ribera Steak House. Although we knew that the next night we would be facing each other in the fight of our lives, only the sense of mutual respect, admiration and friendship was present at our table. 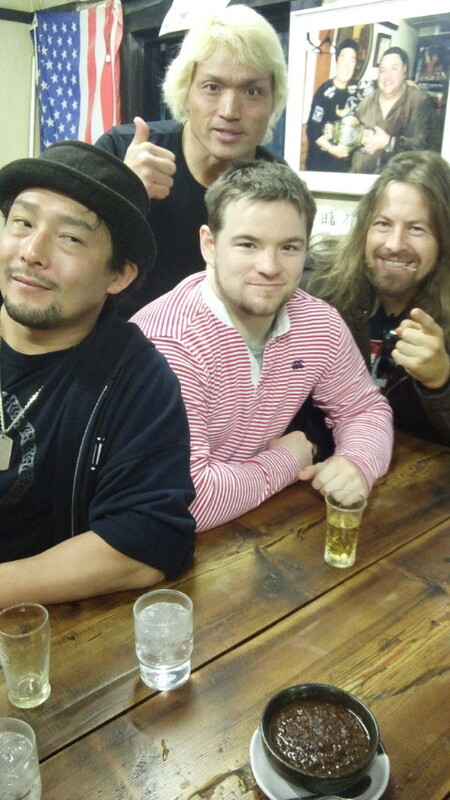 Knowing that I have fought so many times in the same ring against esteemed opponents the calibre of Akira and Tajiri only heightens and strengthens the comraderie between us. The quality of our matches has always been top-notch, and being able to bring out the best in each other, regardless of the outcome, is definitely a key element that spawns great friendships in our trade. I can only hope that Tajiri starts up a new wrestling company in Japan following the demise of SMASH, as the man is one of the smartest minds in our business, and if anyone can do it, Tajiri most definitely can. Tajiri definitely knows what classic wrestling should be all about, and I will most certainly support him in whatever his future endeavors are. After the main event was said and done at SMASH.FINAL, SMASH Diva Champion Syuri also vacated her title, as the wrestlers came to the ring to bow out and say goodbye to all of their supporters and fans over the past two years. The last SMASH Champion Dave “Fit” Finlay vacated his title last month at SMASH.25 after defeating Tajiri in a fantastic match. I would also like to thank all of the SMASH fans personally this one, last time for allowing me to become a star in their country. As I said at the SMASH.FINAL afterparty, Japan is the #1 country in the world for pro wrestling, and it has been a dream come true for me to become a household name and celebrity in Japan through my pro wrestling adventures in the Land of the Rising Sun.